When a solution works well the first time, why change it? The International Union of Painters and Allied Trades (IUPAT) AFL-CIO represents a growing force of more than 140,000 working men and women in the United States and Canada. IUPAT members work in the finishing trades as commercial and industrial painters, drywall finishers, wall coverers, glaziers, glass workers, floor covering installers, sign makers, display workers, convention and tradeshow decorators, as well as many other occupations. The IUPAT DC 7, International Union of Painters and Allied Trades District Council 7, bought a new training center in Big Bend, Wis. In outfitting the new facility, Adam Holmes, training coordinator of IUPAT DC 7, reviewed several existing union training centers. 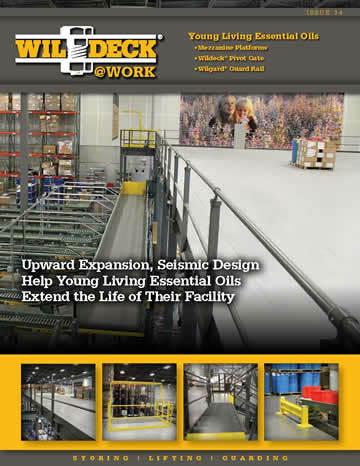 In his research, he discovered that Chicago DC 14, Local 27 utilized a Wildeck® mezzanine platform as a core component of the glazing portion of their training facility. 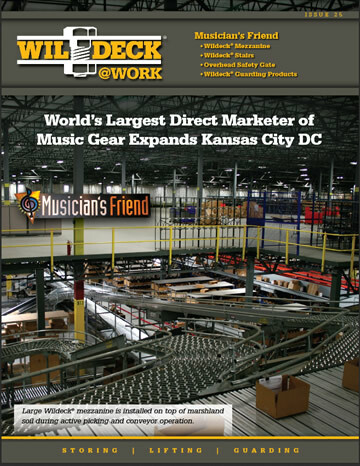 Holmes contacted Jim Serwin of Able Equipment, a local dealer of Wildeck material handling solutions, to get the project rolling. 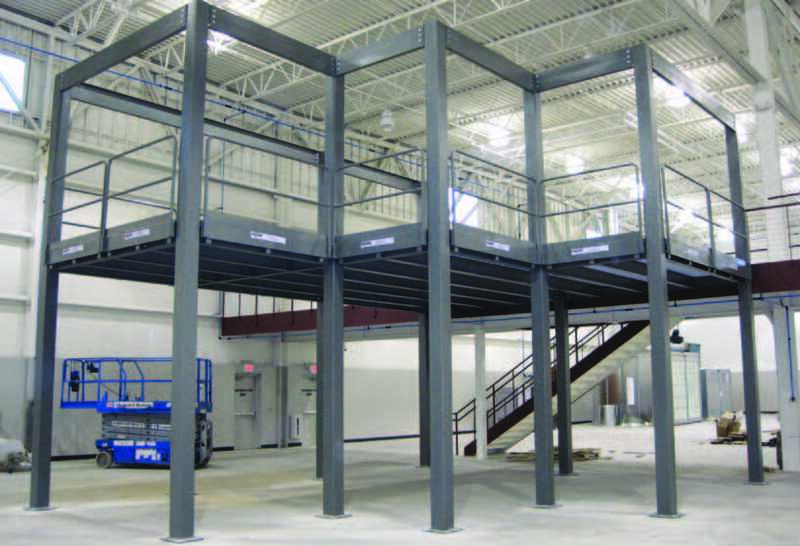 After reviewing existing drawings of Local 27’s training facility, Holmes, Able Equipment and Wildeck engineers created a mezzanine to meet the unique requirements for the Big Bend facility. 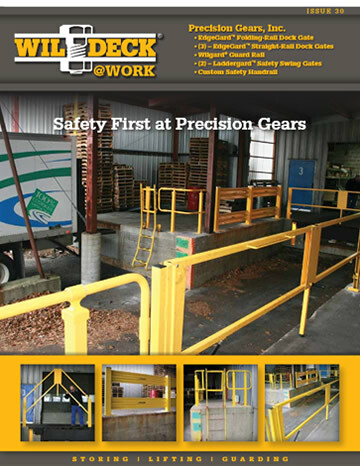 One of the benefits of a Wildeck mezzanine is that it provides space that can be used for a variety of different purposes, and not just storage. IUPAT is using its mezzanine to train new glaziers. 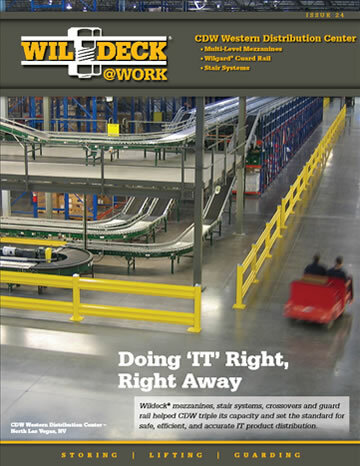 The Wildeck mezzanine is used to mount glass door systems and glass curtain walls. The structure is uniquely designed, and not a typical rectangle or square, to simulate building corners and on-site field environments. Volunteer members poured a track of concrete surrounding the perimeter of the mezzanine to allow for door frame drilling and avoid damage to the building floor slab. The mezzanine’s design played heavily into the configuration, layout, specification and continuous use of the available space. “We use the top of the mezzanine cross beam to affix framing and put in glass,” Holmes said. “In our training class, the glaziers add metal aluminum framing and then place the glass. 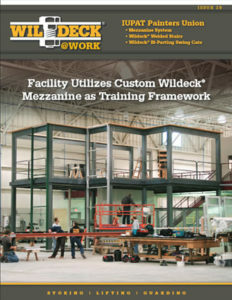 The Wildeck mezzanine is a big part of the hands-on portion of the curriculum. Previously, the training class was based in classroom settings only. Now, the course includes the application process of actually setting up the framework to a mock building frame by using the mezzanine to simulate fieldwork. The course work can develop into the latest material technology and best practices. None of the hands-on portion of the course would take place without the application simulation portion. The new training facility is located only seven miles from the old site, and with the dense population of the Milwaukee area and convenient access to Madison, it’s easy to reach by many statewide IUPAT members. As growth happens, the facility can offer a wider range of classes and training for IUPAT members.